Only 13 Tickets Left for LAN 10! Home / 2014 / April / Only 13 Tickets Left for LAN 10! It’s only a little over 3 weeks until we open the doors for our 10th LAN party, and with only 13 tickets left book now to secure your seat! We’ve got lots planned to make it a great weekend for everyone involved – projector games, tournaments, event-wide achievements, big games and much more – a feast for the senses. Stay tuned for further info. We know the biggest contributers to a great LAN are you guys, the attendees, so with every ticket sold you get to put forward your favourite games and anyawesome ideas you have for fun stuff at the event. We’ll run feedback afterwards too, but how about suggestions before the event starts…? We’re all about innovation here at ZPH. We’ve got to let you know we’re decking out the hall* with a 10 foot projector screen,600 Watts** of soundsystem, pretty lights, a gigabit network and a fibre Internet connection. Did we say you can choose the music and videos? Because you can. Sound like fun? Get your tickets here! Not sure yet? Check out our videos and photos from past events. Feel free to get in touch with us if you have any questions or suggestions – we’d love to hear from you. LAN 11 Tickets now on sale! 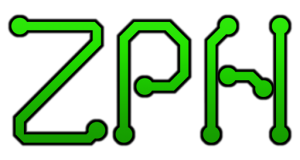 Get Ready for ZPH LAN 12: Daylight Savings Edition! What even is a LAN Gaming Party?